It's a sad, sad day indeed when I can't remember the last book I read. was the children's section of the library. Summer breaks, I would spend hours in the air-conditioned stacks. so I can settle down & make good w/ my books again. they just never get old. and still be in love like the very first time i read them. but I'll just leave you with these ultimate favorites of mine. haha, great list! and I hear you about school - I always wish I could take a class that would just give me time to read on my own! Harry Potterrrr!!! Yes...definitely on my list. When is your spring break?! Maybe you can get a good book in then. 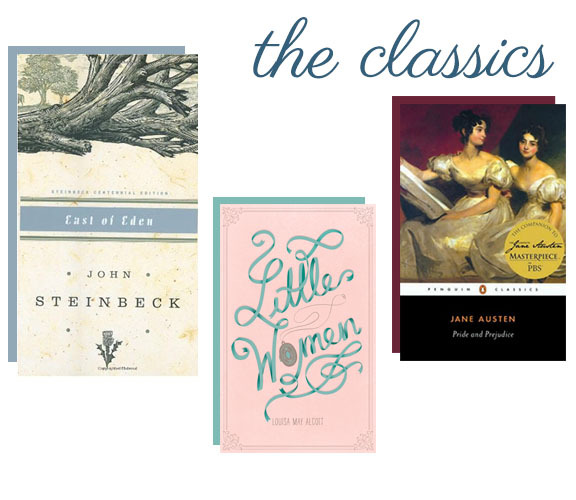 i love the classics, and chick lit every now and then. but fitzgerald is the ultimate. i love reading about the 20s! i know how you feel.. i used to be able to finish a book a day..
when I was going to become a mom I had people tell me to forget about reading.. i wouldn't have time for that.. and in the beginning i didn't.. but now I make time. In school parking lots and a short chapter before bed.. i can't imagine a world where I am too busy for a book. I love all the Kinsellas ! I love Little Women and the Harry Potter Series. Mysteries are probably my all time favorites though. I am constantly buying, borrowing, and checking out books from the library. 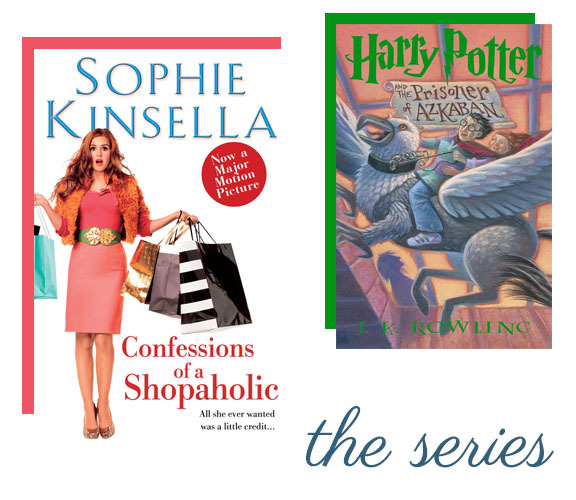 I love the Shopaholic series! Such fun and easy reads! !